STONE MOUNTAIN, GA -- Orrin “Checkmate” Hudson, founder of the Be Someone youth mentoring program, was named a “Points of Light” recipient and invited with other honorees to attend the Dec. 5 farewell ceremony following President George H.W. Bush's funeral at the Washington National Cathedral. 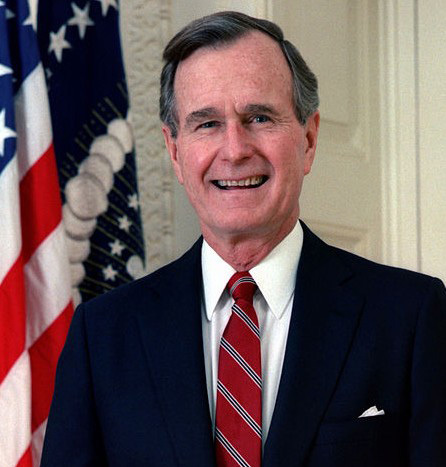 The award, founded by President Bush and established during his presidency, is given daily by the Points of Light organization which is recognized worldwide for its dedication to volunteer service and recognizing extraordinary volunteers who are donating their time and talent to better their communities. President Bush died Nov. 30 in Houston at age 94. His wife of 73 years, Barbara, passed away in April. The farewell ceremony was held at Andrews Air Force Base following the funeral for the nation’s 41st president. Hudson and other Points of Light honorees paid their respects there. Hudson said the organization designated Dec. 5 as his “Point of Light” Day. He became the 6,408 Point of Light honoree with the recognition and was pinned during a ceremony conducted at Andrews before the President's final Washington departure The DeKalb County resident said he also will receive a certificate that was signed by President George H.W. Bush. Hudson explained, "In what was purely a coincidence, I was named the 6,408th recipient of The Daily Point of Light Award, December 5. To be given that high distinction on the day of President Bush’s funeral is without question one of my career highlights. Only one person is recognized with this award daily, and it just so happened I was the person named on this historic day." Attending the ceremony was a pivotal moment he will always remember. “I am so humbled to be chosen for this award. It was an honor for me to say farewell to President George H.W. Bush and participate in such a memorable event.” He added, "I am very proud of this award. I feel like we are kindred souls in that I’m also committed to serving people just as the president did throughout his lifetime." 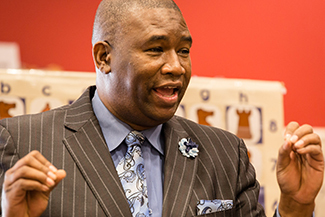 His Be Someone non-profit organization, using the game of chess to teach life skills, has mentored and empowered more than 65,000 young people nationwide and internationally, including students in the Philippines, India and Canada. Hudson who goes by the nickname "Checkmate" honoring his chess skills, explained, "Seeing the former president honored in the way he was with a military sendoff gave me goose bumps all over my body, and it was a moment I will never forget." He continued, "It has been such a memorable and historic last few days, remembering the many accomplishments in the life of President Bush, an honorable and decent man who gave every ounce of himself to better his country and family." Creative Director Be Someone, Inc.